Have you been eying a pair of bright pants, but you have no idea how/where you would wear them? Well, I am here to tell you that colored pants, are everyday pants, and acceptable for every occasion! I have at least 5 different pairs of colored pants, and they get way more use than my plain denim. I have personally struggled with how to style them at times, so I have put together a guide for how to style your colored pants! Until recently, I didn't think colored pants were appropriate for the work place. However, I have witnessed a number of professionals lately sporting their bold bottoms to the office. It does depend on what your company's dress code is, but I think colored pants can be very elegant! I prefer darker, more saturated hues for the office, but remember to keep it simple and don't over do it. 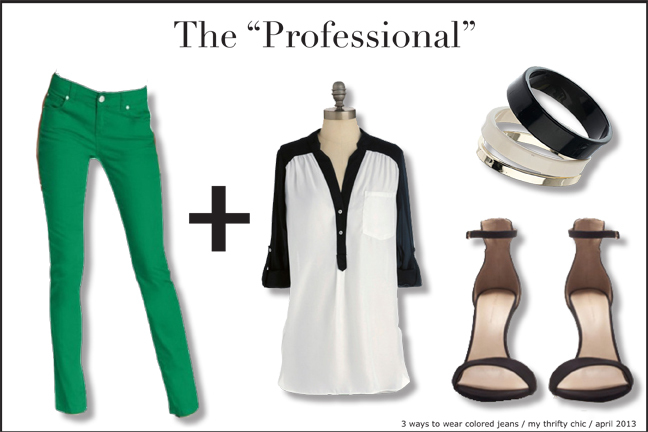 If you are going to wear a bright pant to work, make sure everything else is neutral. I am obsessed with wearing colored jeans out at night verses the traditional black skinnies. 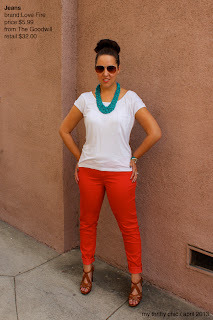 I love the drama a colored pant can bring to an outfit, and immediately makes you stand out in a crowd! 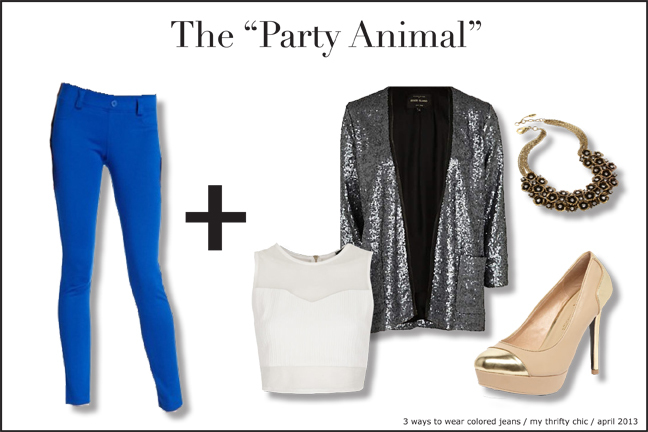 For a night out on the town, try a bright cobalt, or red pant, and spice it up with a great metallic pump and a sequin blazer. An evening look is when you can really play with all your accoutrements. 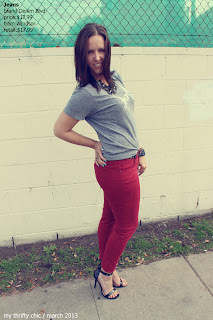 Here are a few ways I've styled my own colored jeans in the past! Are you a fan of colored trousers? Lovely combinations! I love colored pants and I think I have them in every color, hahaha! 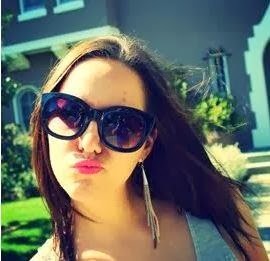 I think i'm more the professional and the girl next door. Great outfits. Love how you styled them. I love coloured pants. They are so versatile. Huge fan of coloured jeans but as all mine (teal, red, burgandy) as jeans I've steered away from professional looks. Maybe for my casual days though I should do as you suggest and jazz them up with neutral but smart accessories... Thanks for the tips. love all of these looks. i just started getting into colored pants and can't stop wearing them!